The next installment for the TUBA gang comes from Manchunian, Compa. 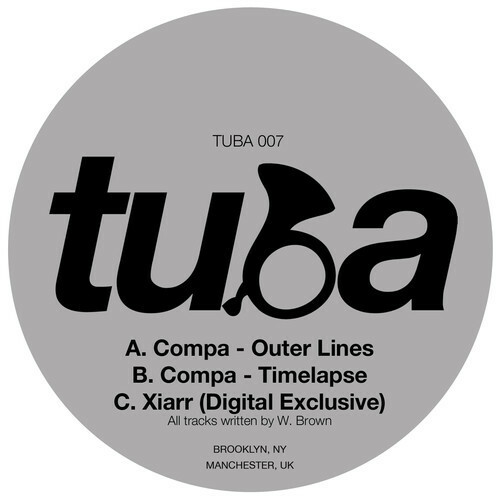 Still fresh off his debut release with the formative Deep Medi imprint, Will returns stateside for the release of his next three beats (2 Vinyl + Digital, 1 Digital Exclusive), marking his second appearance with TUBA (his remix of Prism’s ‘Future Samba’ featured on 006). 007 is yet another testament to Compa’s intricate sound design and plunging sonic explorations. Each of the three tracks radiates with a dark and meditative vein, harboring feelings of somber splendor through means of ominous atmospheres and warm sub-work. Have a listen below and mark your calendars. With its recent campaign of #bridgethegap and communications with the FatKidOnFire collective, it will be very interesting to see what label boss Ric has in store for TUBA in 2014 with regard to release schedule and other extraneous endeavors. Anywho, that’s it for today – I’ll catch you soon. This entry was posted in Ambient, Artist Highlight, Dubstep, Minimal, Record Labels and tagged #bridgethegap, Bakir, Bassweight Society, Compa, dubstep, Outer Lines, Timelapse, Tuba NYC, Xiarr. Bookmark the permalink.